Summary: The Free Online Kundalini Yoga Sets E-Book is a collection of the Kundalini Yoga Kriyas that are available on the Mastery of Meditation website. As more Kriyas get added they are linked to from this page, thus making them easier to find and incorporate into your daily yoga practice. Welcome to the Free Online Book of Kundalini Yoga Exercises & Kundalini Yoga Kriyas (sets). Kriyas are a set of Kundalini Yoga exercises which are done in a particular sequence and work on a specific theme (such as the immune system, willpower, particular chakra, abdominals, etc). In some cases a kriya can be just a single, powerful Kundalini Yoga exercise, such as Sodarshan Chakra Kriya. This book in an ongoing collection of these Kundalini Yoga sets and this article will contain an updated index to help you easily select the kriyas you wish to incorporate into your yoga practice. I suggest you read the following 2 articles as they will give a good overview of Kundalini Yoga and also instructions for how to practice yoga exercises and Kundalini Yoga Kriyas: Introduction to Kundalini Yoga and 10 Important Guidelines for Kundalini Yoga Practice. For a general overview of yoga, please read Introduction To the Universal Principles of Yoga. This book will explain and detail a wide range of Kundalini Yoga exercises and kriyas applicable to a wide range of purposes. The exercises and sets from this book will be a part of the Online Meditation and Kundalini Yoga Classes, that are hosted here on the Mastery of Meditation website, but these sets can, of course, also be used by you in your own daily yoga practice. Each chapter will provide one important kriya and will be written such that to practice that particular set you only need to read that chapter. Any new set added to the website will be linked from this page. Purpose of the overall set. Detailed instructions of how to practice each exercise. Practice tips to help you master that particular technique. Internet resources to give you more information about the topic that is focus of that particular set. CLICK ON ANY LINK BELOW TO BE TAKEN TO THE CHAPTER DETAILING THAT SET. I hope you are enjoying the yoga sets here on Mastery of Meditation and Yoga. Stay tuned for more kriyas to enhance your practice and please do share articles you enjoy so others may benefit too. I will appreciate your free eBook on Kundalini Yoga. Hello, i havea very important question. 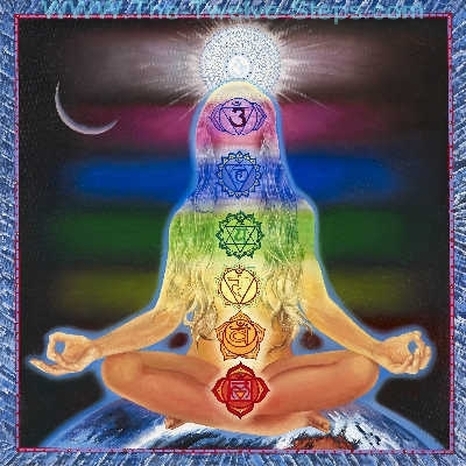 Now i dont have anyone close and i dont know anybody who practice kundalini yoga, so i cannot really know it’s effects on the human body and mind. I was jut wondering how could yogi bhajan, a master of kundalini yoga, die on 75 years of heart faileure? i mean a yogi who practiced kundalni yoga and claimed its miraculous healing powers, died of heart failure? i heard that he had a kidney transplant too. For real now, how could something like this be possible? pls i need ur perspective on this.